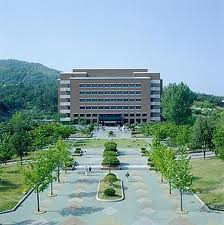 Keimyung University, Korea is offering its short-term study abroad program with the scholarship from Korean Government. The students will participate in the program for 1 year (commencing from the spring semester of 2012). Only undergraduate UGM students from Faculty of Cultural Sciences, Faculty of Philosophy, Faculty of Social and Political Sciences and Faculty of Economics and Business are eligible for the student exchange. Submit your 2 sets of application (1 original + 1 copy) to Office of International Affairs UGM no later than 22 December 2011 03.00PM. Demikian kami sampaikan tentang Student Exchange Scholarships, Keimyung University, Korea semoga informasi tentang Student Exchange Scholarships, Keimyung University, Korea ini bermanfaat.